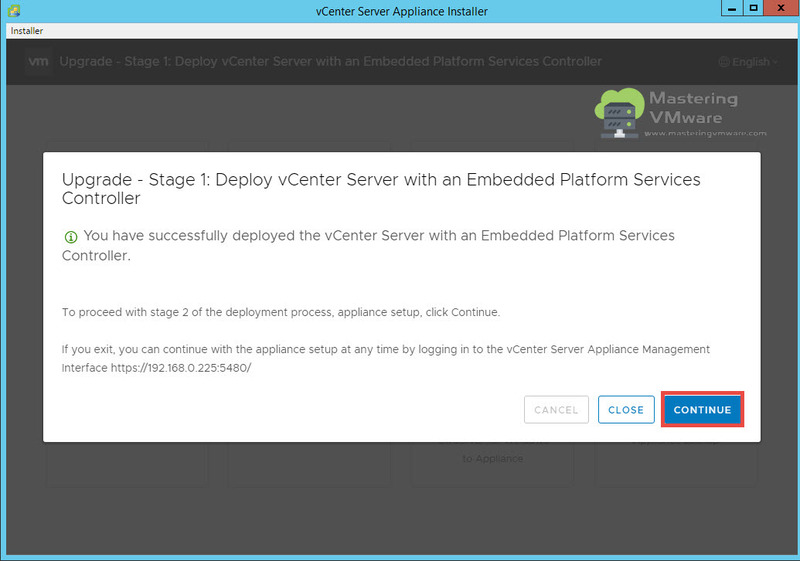 VMware has released the newer version of their vCenter Server 6.7 along with vSphere 6.7. 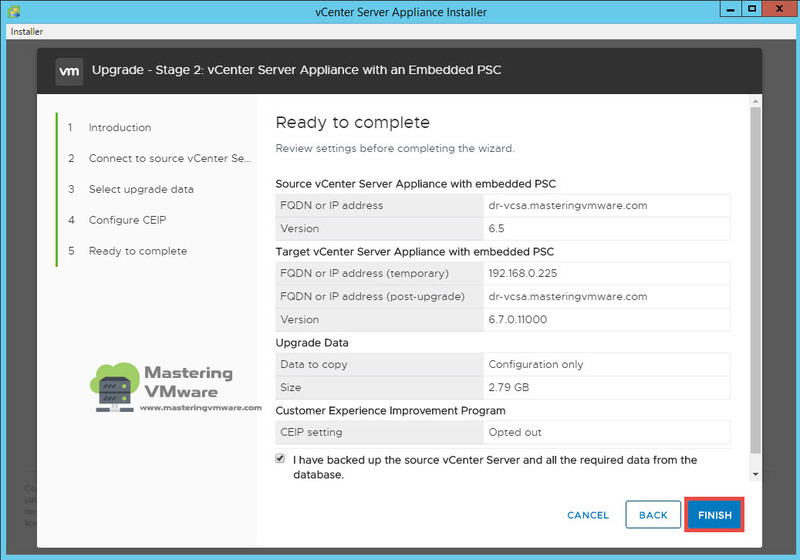 VCSA 6.7 comes with the many new features and improvements. 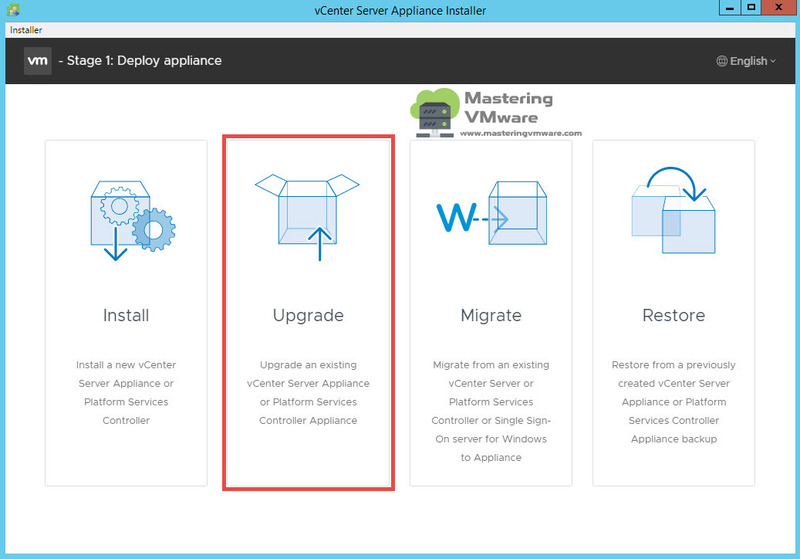 In this post we will see about how you can easily upgrade vCenter Server Appliance. 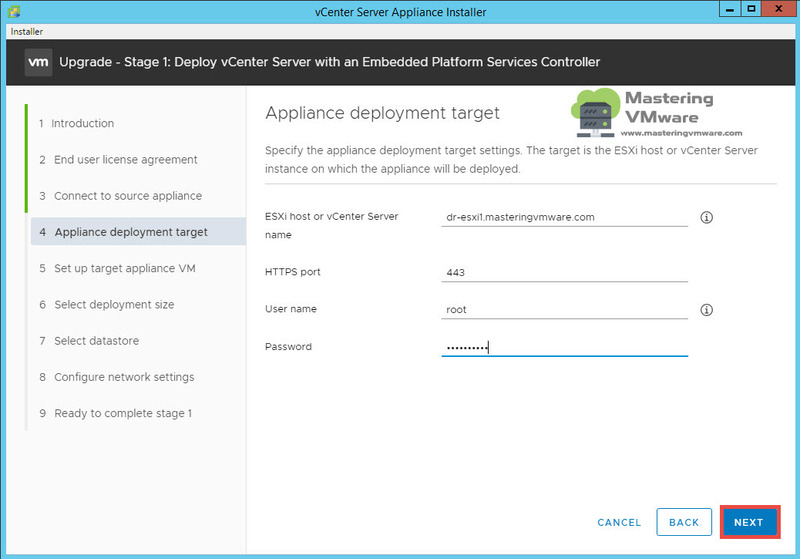 We will be upgrading VCSA 6.5 to VCSA 6.7. 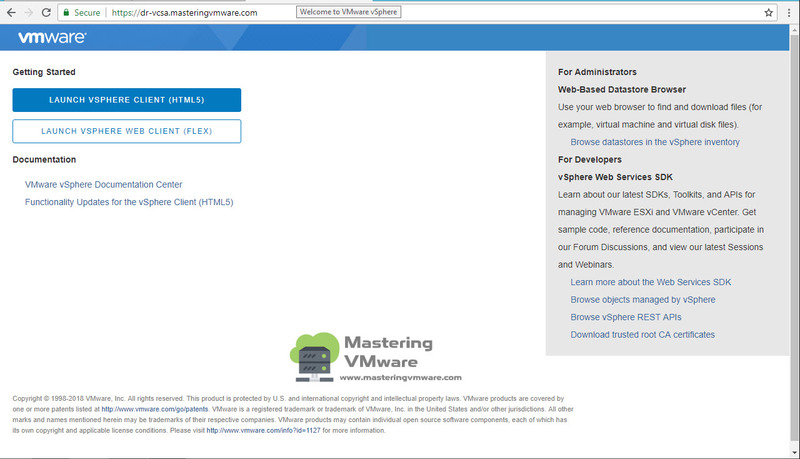 VCSA 6.7 comes with the Improved HTML 5 client which you can use for day to day tasks to do operations. As of now HTML 5 Client is 95% completed only some of the features you may not find working. 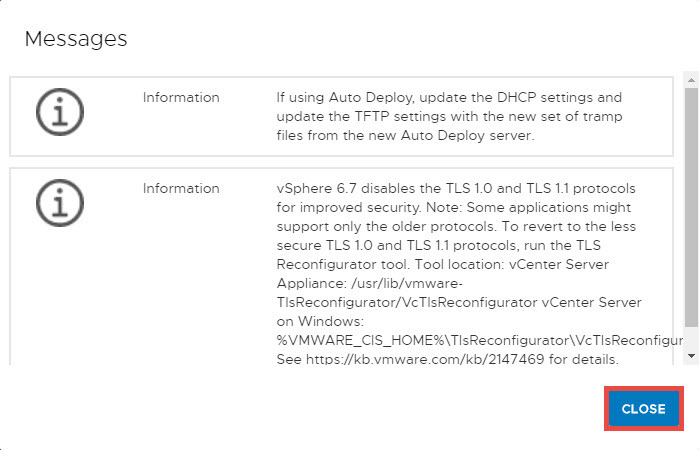 As per the VMware release notes current vSphere Flash client will be deprecated soon. 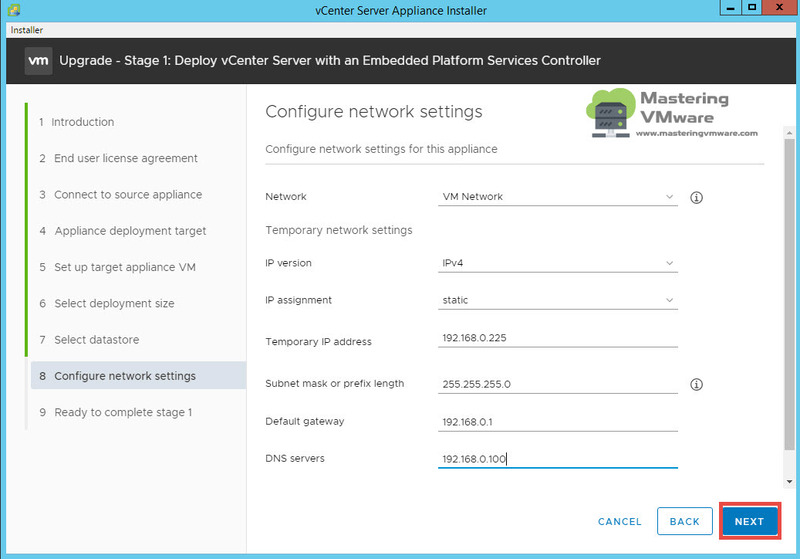 VCSA 6.7 has all new UI changes which is easy to find and manage all the operations. 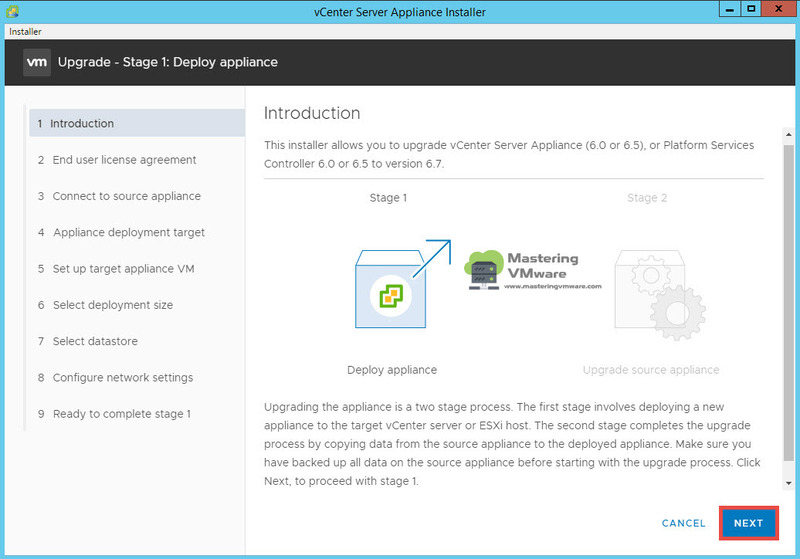 VCSA 6.7 includes the new Update Manager Interface which is easy to setup and use, which we will be looking in our future posts. 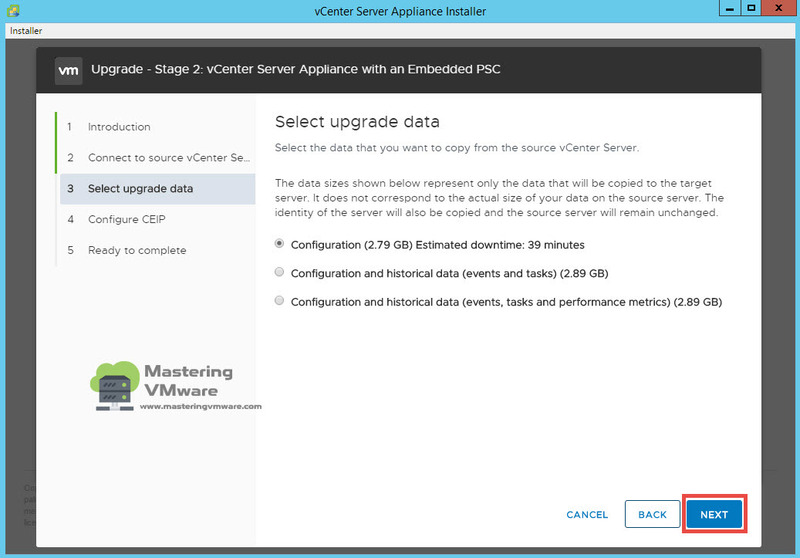 VCSA 6.7 features now an backup schedule option which was not available in VCSA 6.5. Now you can easily schedule the backup for VCSA 6.7. 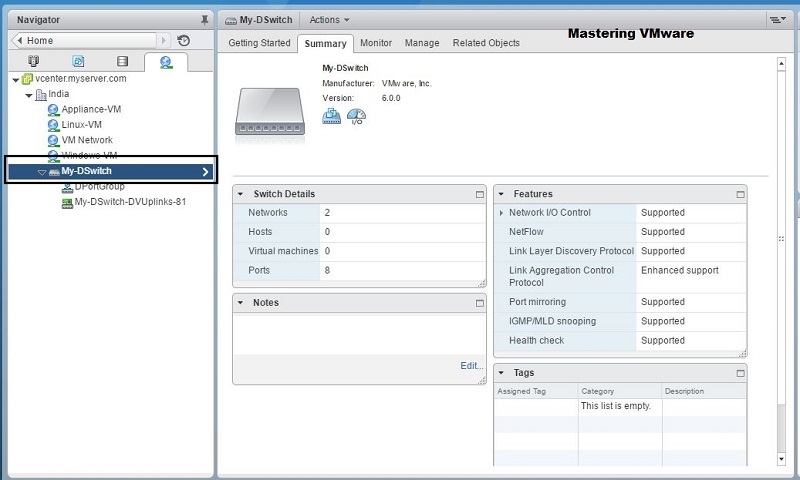 VCSA 6.7 Appliance Management now provides more granular views for the detailed monitoring which consists of CPU, Memory, Network, Disk and Database monitoring. 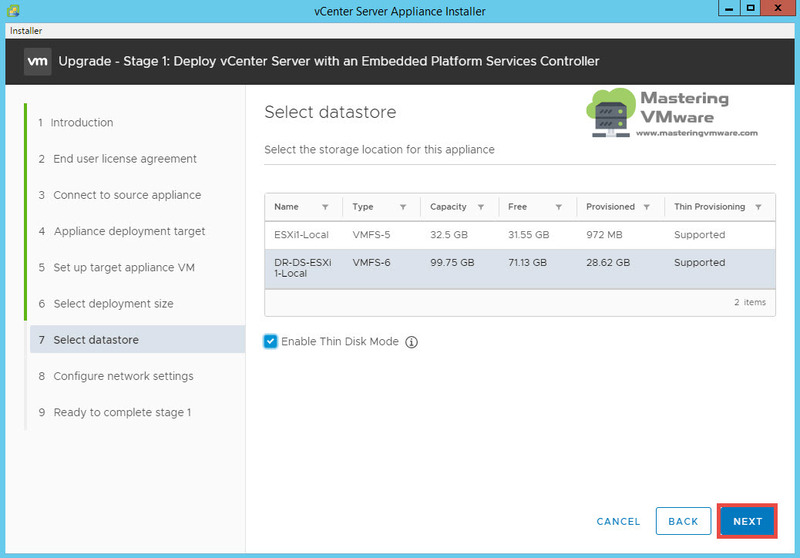 In vCenter 6.7 users can now see each of the disk partitions for a vCenter Appliance instance, along with its allocated space and utilization. Installer will start the wizard. 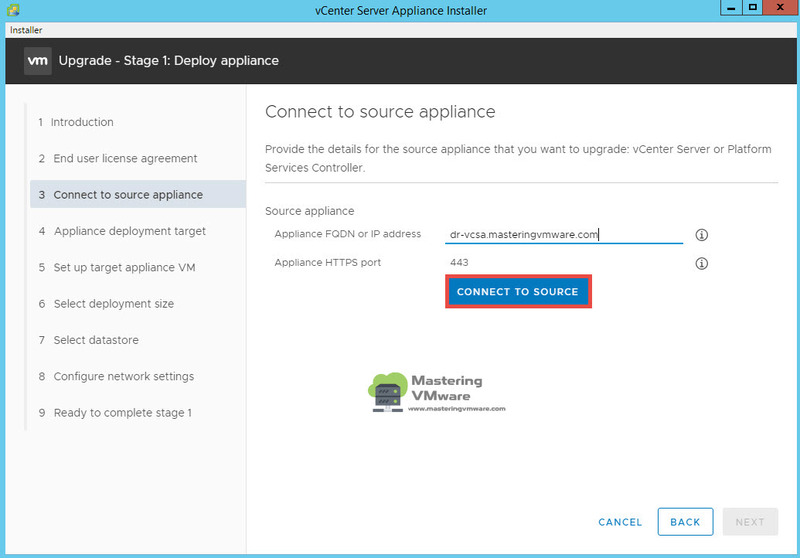 Provide your Source vCenter Appliance Details and click on Connect to Source. 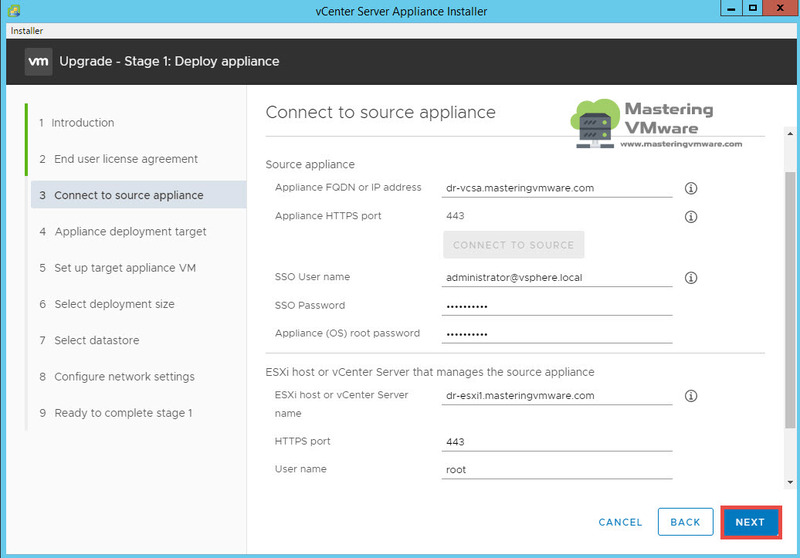 You will see Source vCenter Appliance details. Provide Passwords for SSO and Appliance root user. 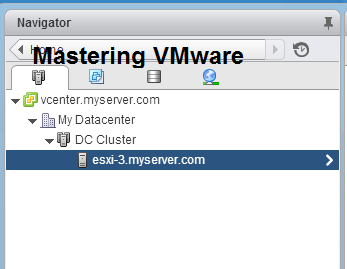 Provide the ESXi Host username and password. 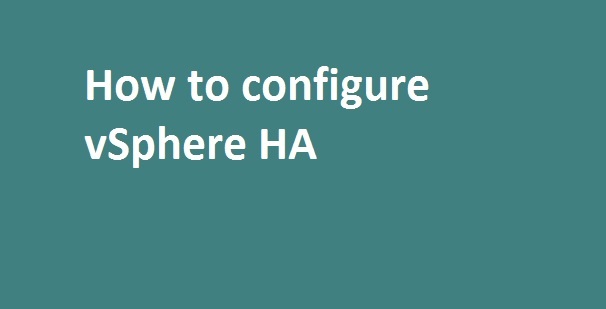 Configure the Name and credentials of the VCSA. Click Next. 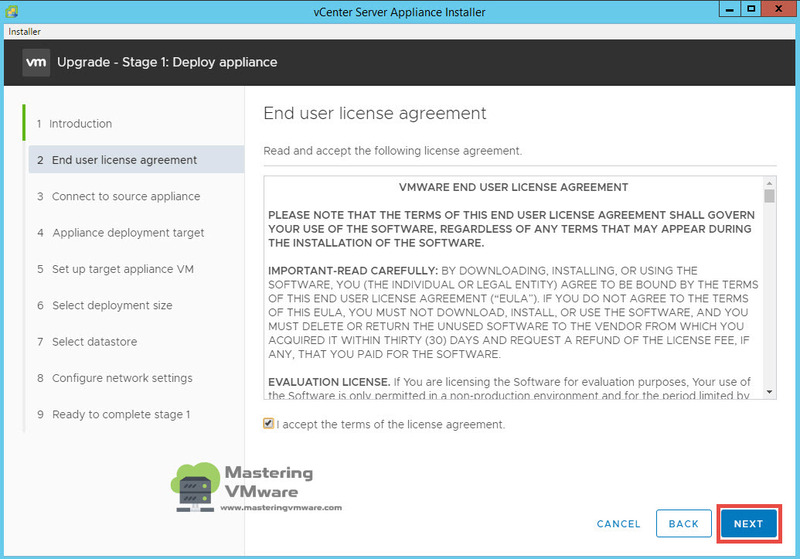 Provide the Temporary IP Address for the VCSA upgrade process. Once the upgrade is completed, VCSA will be using the existing IP Address only. 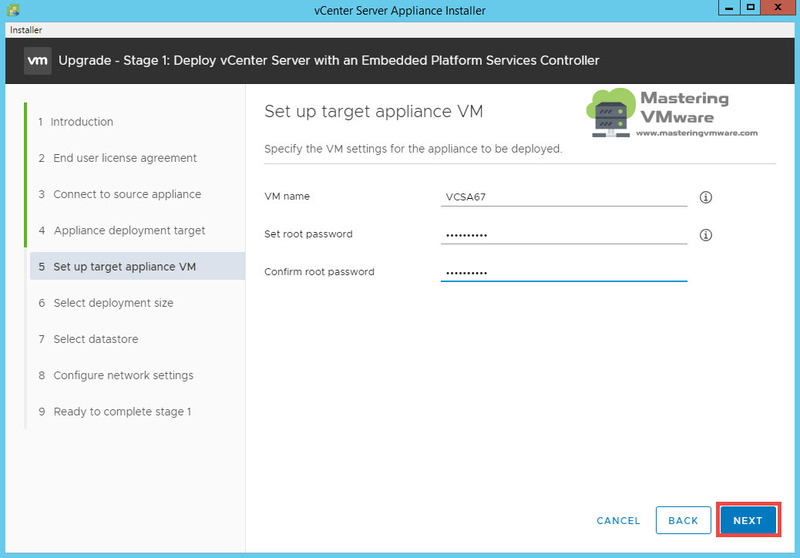 In this process new VCSA 6.7 Appliance will be deployed. Once it is deployed successfully you will get below screen. Click Continue to start with second stage upgrade. Click Next to proceed with stage 2 upgrade process. 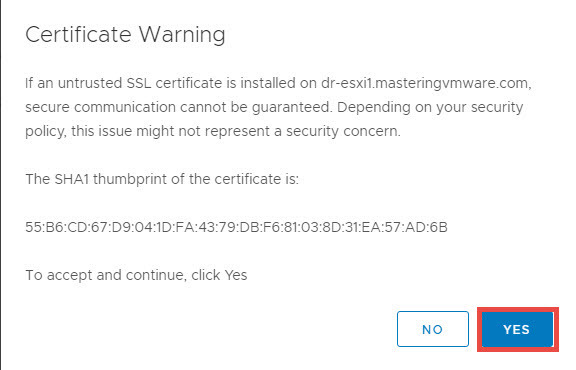 You might get various warning like DRS is enabled, vCenter Extensions etc, Read those warning and click Close. 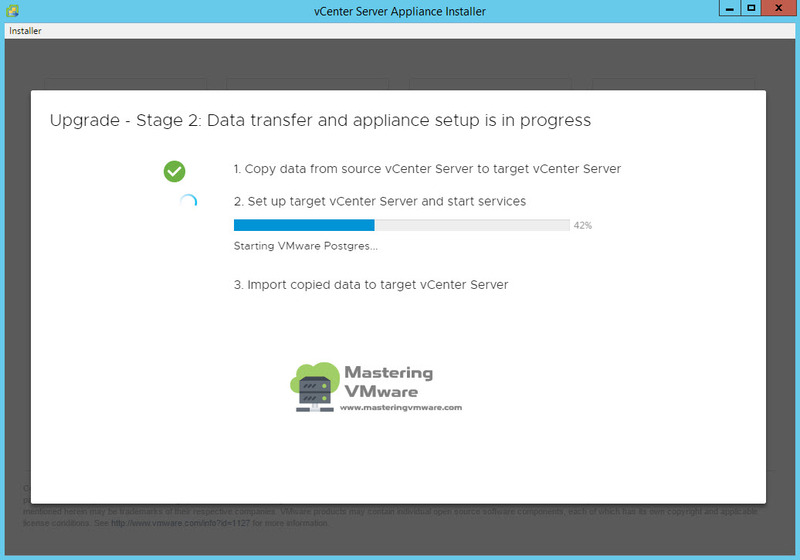 Specify the data which you want to migrate to the newer vCenter Server Appliance. It will also show the estimated time based on the data sizes. Choose your data which you want to migrate and click Next. 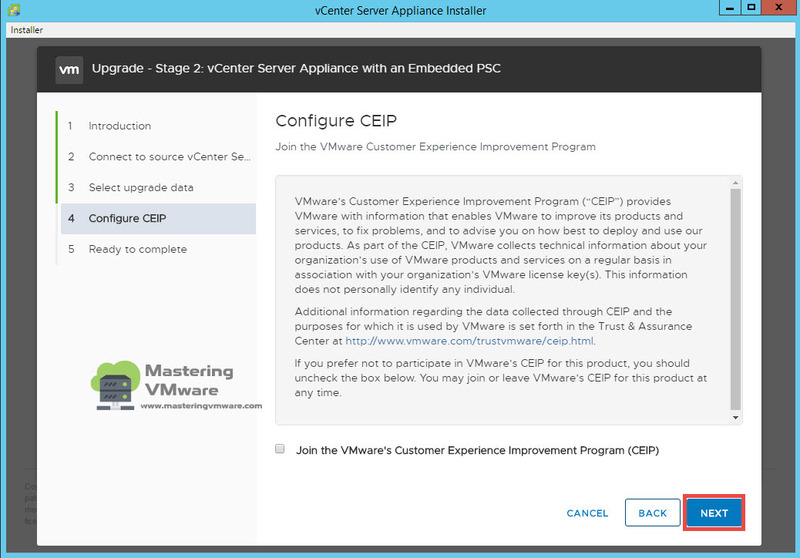 Join the VMware Customer experience improvement program or Click Next to continue. 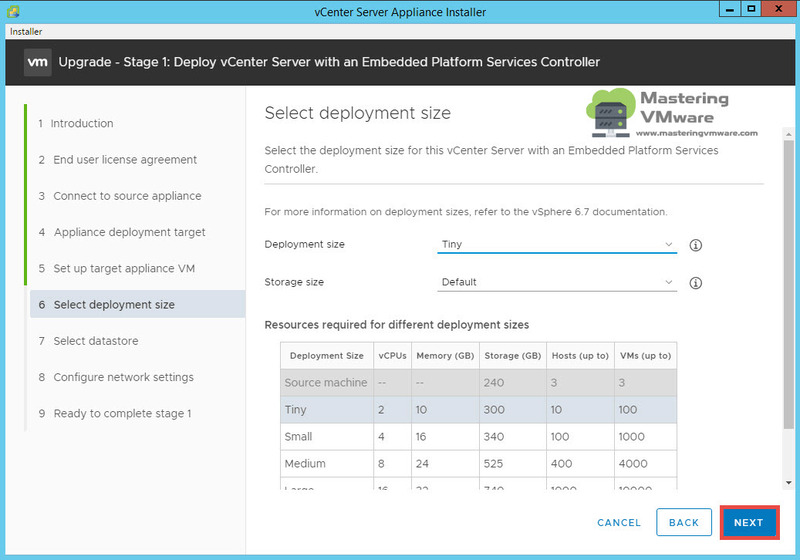 Review all the configurations and click Finish to start the Upgrade process. It will take minutes to complete based on your data. You can see the status of the process. Once Upgrade is completed, You will see below messages for Auto Deploy and Security related information. Click Close to exit the messages. 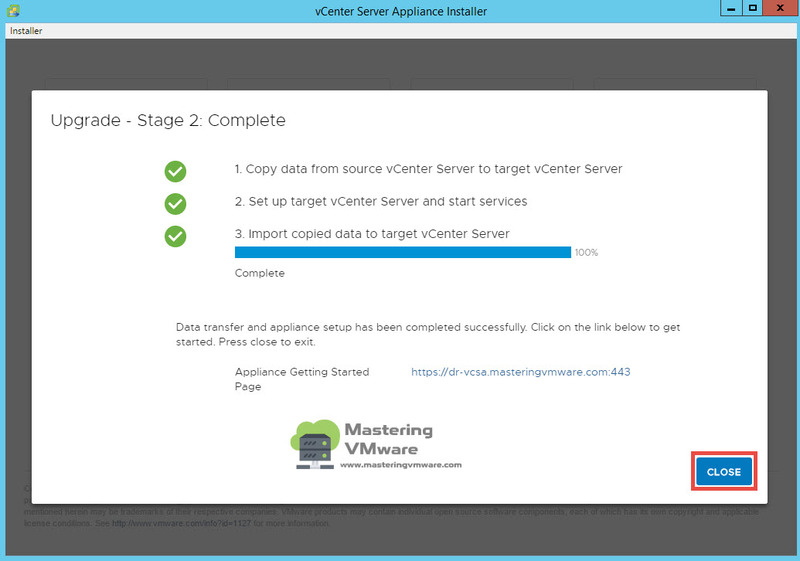 As you can see that we have successfully upgraded the VCSA 6.5 to VCSA 6.7. Click Close to exit the installer. 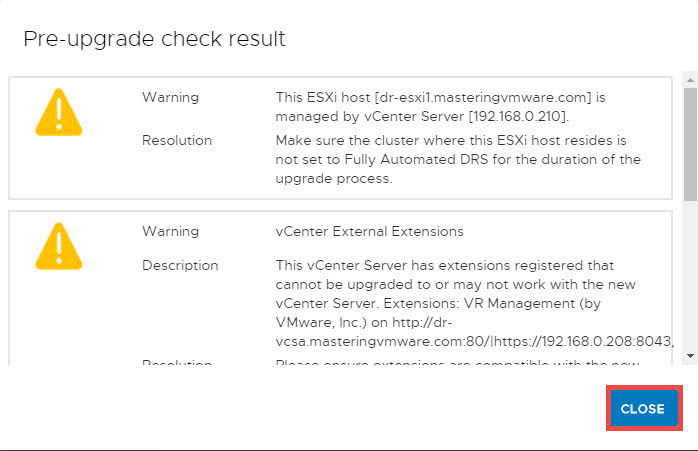 Now you can login to your newly upgraded VCSA and check for all the inventories and VMs configurations and connectivity. 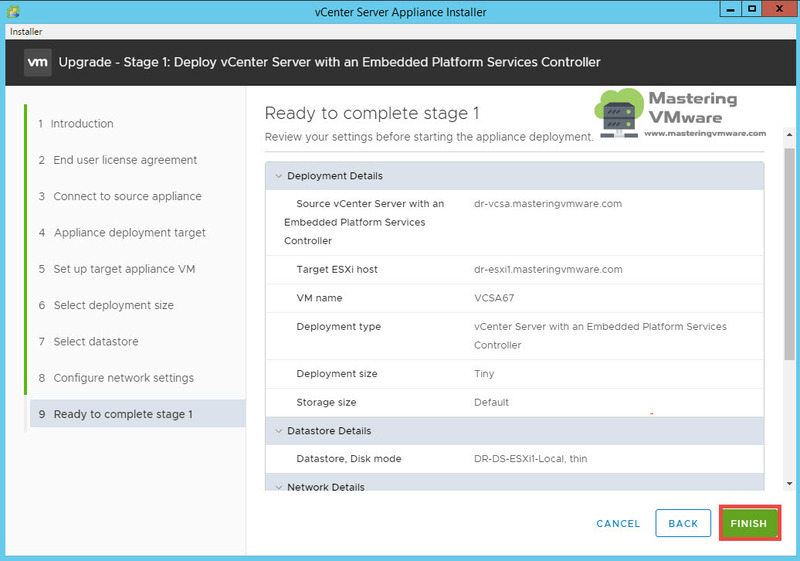 Using this way you can easily upgrade your VCSA step by step. 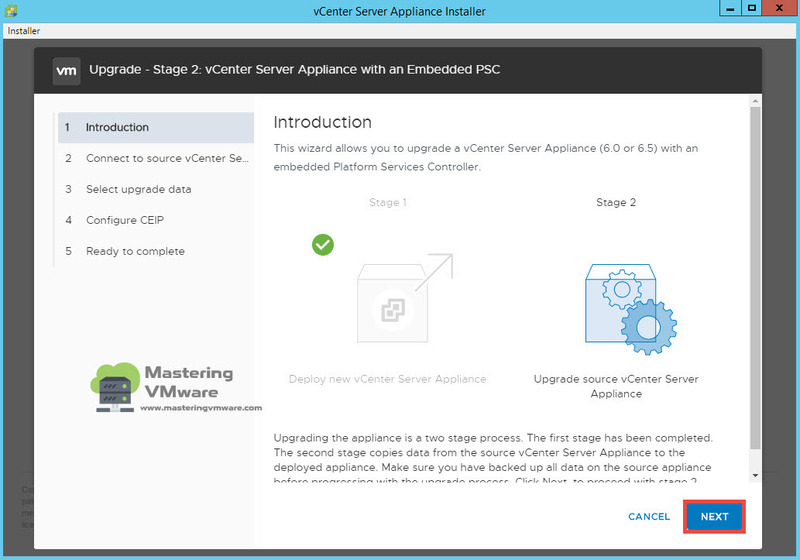 Before starting upgrade make sure you take backup of the existing VCSA. 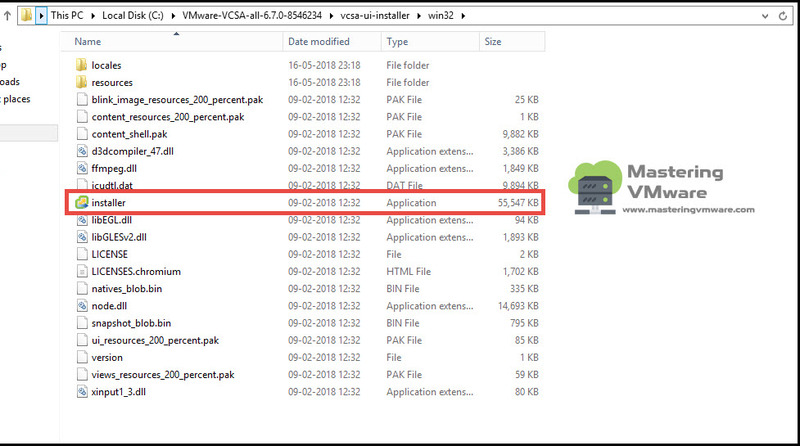 Note : As of now Upgrade from VCSA 6.5U2 to VCSA 6.7 is not supported.